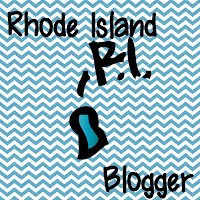 Tech Teacher Tidbits: Do You Popplet? As promised, I'm back with a review of a new tech tool that I was introduced to at the Summer Institute of Digital Literacy in late July. Popplet is a free online web tool that allows the user to create mind maps and brainstorming diagrams. The free version enables the user to save up to five popplets at a time. It has a very easy to use interface. You can add content from Vimeo, YouTube, or simply by uploading from your computer. 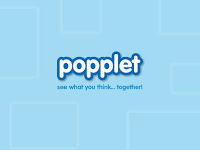 Popplets can be shared via Facebook, Twitter, or by emailing a link. Collaborators can be added to a Popplet which makes this extremely versatile for teaching. Popplets can be embedded into your website, blog, wiki, etc. There is also an easy to use presentation mode. You can not customize text (other than size). You can not edit images once inside a popple. As an elementary technology coach, I feel that this tool is an invaluable addition to any teacher’s or administrator’s toolbox. Besides Popplet’s obvious uses of mind mapping and brainstorming, Popplet can be used in a multitude of ways, making this tool one of the fastest growing in popularity. In addition to Popplet’s wide range of use, there are several more reasons to check it out. First, Popplet takes only a couple of minutes to get registered. Registration is clear and concise. Next, Popplet has a very small learning curve. It’s ease of use alone (for any novice) is enticing to today’s very busy educators. Finally, this tool is appealing to a variety of learners. The visual learner is the most obvious but because one can insert video, audio, and text, it is appealing to these learning styles as well. Create a graphic organizer for prewriting purposes during a writers workshop mini lesson. The popplet can be shared with students so that they can complete the graphic organizer with their own ideas. The popplet can be displayed while students refer to it to complete their own graphic organizer. Create a blank timeline for a Social Studies lesson. Create a popplet that will demonstrate the system in town administration for a rules and laws lesson. Make a visual plan of the school’s upcoming year. Map out the goal’s for the year. Introduce the staff (with images) to everyone. This is just a small sampling of how Popplet can be used in a classroom or school. Click on the video below to see just how easy it is to create a popplet. Now check it out for yourself and let me know how you used Popplet in your classroom. Finally, this tool is appealing to a variety of learners. The visual learner is the most obvious buffet near me chinese but because one can insert video, audio, and text, it is appealing to these learning styles as well. Amazing, a perfect solution for my problems. I was working on essay shark reviews and some DB designs. I faced the issue of making initial designs on paper. This tool would help me in my work. Thanks a lot for your help on this topic. I will use it for my future projects. This software has been on my first priority to be used when I am doing anything on my website. This tool is helping a lot to get best essay services canada all the contacts available on any other network or website.